Mo-alloyed, copper-coated wire for Submerged Arc Welding. For creep resistant steels (0,5% Mo), structural steels, ship building steels, pressure vessel steels, pipeline steels up to X70, etc. 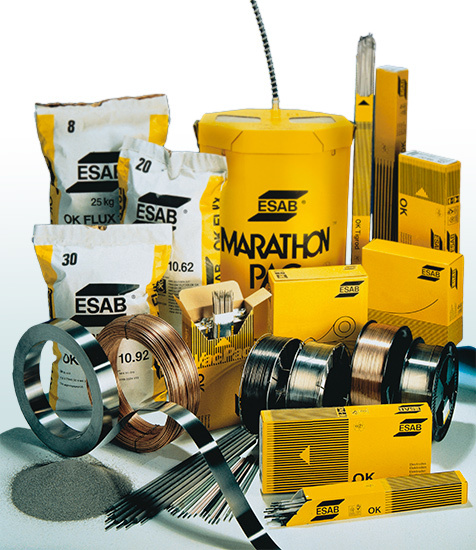 Mo-alloyed, copper-coated wire for Submerged Arc and Electroslag Welding. For creep resistant steels (0,5% Mo), structural steels, ship building steels, pressure vessel steels, pipeline steels up to X80, high strength steels, etc. Ni-, Cu-, Cr-alloyed, copper-coated wire for Submerged Arc Welding. For weather resistant steels such as COR-TEN, Patinax, etc.